This edition of Lewes's letters, collected from a range of libraries across the world and presented with clear introductions and notes, is a welcome resource to all readers of Lewes and Eliot. 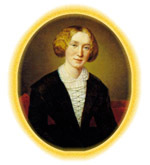 It is not a complete collection, deliberately setting out to supplement the Lewes items included in Gordon Haight's George Eliot Letters so that the two of them now provide a complete record of all Lewes's letters, or at least all the letters that Baker's widely cast net has been able to trace. Some of these (fifty-seven to be precise) are summarized rather than transcribed but the others (442 of them) are complete transcripts of letters not previously published in full (or accurate) form. Haight, who is convicted of important omissions and distortions, included no letters prior to 1853, when Lewes met Eliot. Baker's edition, on the contrary, covers all but the first seventeen years of Lewes's life. Some of the early letters are embarrassingly pushy, with the ambitious young journalist thrusting his attentions on a variety of editors, demanding to know what has happened to his manuscripts, haggling for better rates of pay, alternately browbeating and flattering them. By the late 1840s, however, once he has turned thirty and made something of a name for himself, it is difficult not to admire the sheer range of his interests. He writes articles on Arabic philosophy, Greek history, English, French and German literature. He produces novels, acts in his own plays, lectures on philosophy and founds a new journal. Baker suggests that the 'maelstrom of activity' in which Lewes immersed himself in 1850 was partly an escape from his disintegrating marriage, on which these letters shed little light. But Lewes maintained his astonishingly broad range of interests for the rest of his life, adding marine biology and zoology to his list of hobbies.